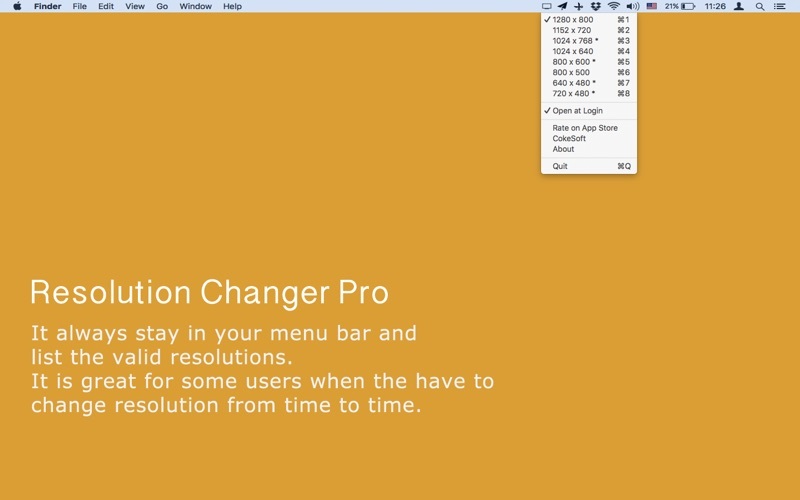 Resolution Changer Pro is a simple tool to lets you change the resolution of your Mac at just one click. So you don’t have to go to “System Preferences” - “Displays” - “Resolution. 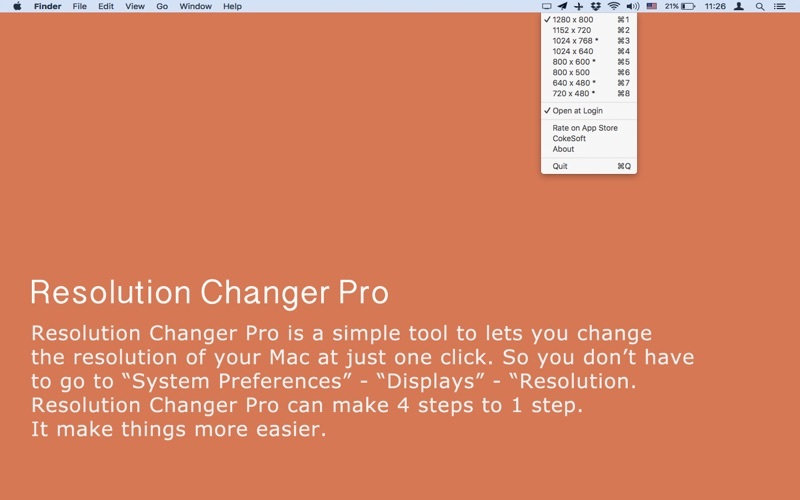 Resolution Changer Pro can make 4 steps to 1 step. It make things more easier. It always stay in your menu bar and list the valid resolutions. It is great for some users when the have to change resolution from time to time. 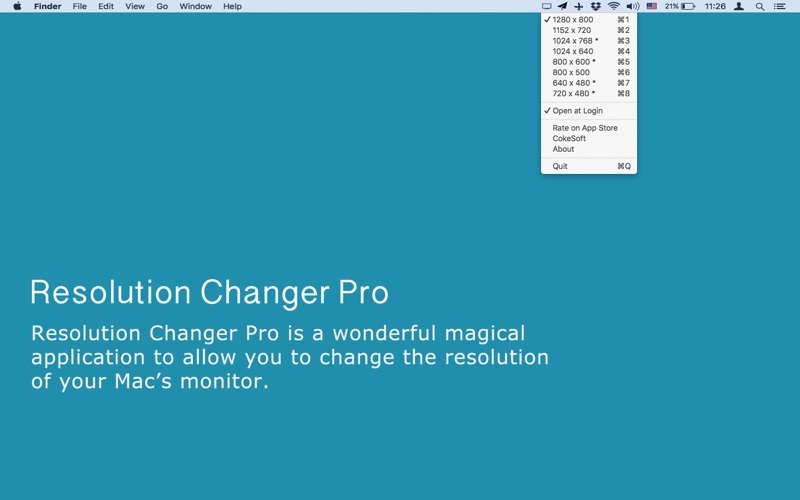 Resolution Changer Pro is a wonderful magical application to allow you to change the resolution of your Mac’s monitor. - One click to change resolution. - Stay in status bar. - Automatically open at login.